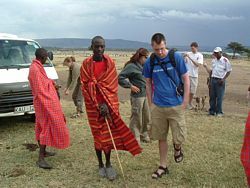 Masai Volunteer Program: Advance Africa offers Maasai volunteer program amongst the Maasai tribe in Kenya. Your time will be spent living in the extremely rural environment of the semi-nomadic Maasai community. Maasai-land gets very very little amount of rainfall every year and is therefore dry, windy and dusty. The Maasai people live a nomadic and pastoral way of life. Cattle are the centre of their economy and culture. They walk over long distances distances to in search of pasture and water. Traditionally, they undertake cattle rearing and avoid agriculture and farming practices. Our Masai volunteers are completely immersed in true Maasai culture. In Maasai Land, you will eat, sleep and live like the Maasai people. Masai volunteer work available includes teaching at both primary and secondary schools located in Masai areas. All children at the schools come from the Maasai tribe. Subjects taught include English, Mathematics, Science, Christian Religious Education, Arts & Crafts, Music and Social Studies. Volunteers amongst Maasai are also encouraged to use their initiative to come up with extra-curricular activities, sports and other learning activities. Medical doctors, dentists, nurses, and other health professionals can work as volunteers in community clinics. They help increase access to healthcare and promote health education in the Maasai community. Accommodation for volunteers is basic and at the Masai village (Manyatta). The volunteers have the opportunity to learn about Maasai people and Maasai culture. 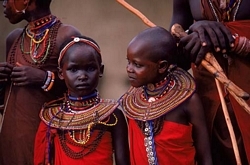 They also see Masai warriors in the community and in the Maasai villages (Manyattas). In the Masai project, you will be sleeping in a ‘manyatta’ the traditional Maasai accommodation, and spending time with Maasai people, learning about their way of life, and truly engaging in their society. At the end of the volunteer period, volunteers will be able to relate to the issues that affect the Masai tribe of Africa. Volunteers may also be able to visit the Masai Mara (note that the Masai Mara safari is at an extra cost), interact with Masai warriors, Masai girls and Masai women. Volunteering amongst the Masai will help you build new skills and add balance and variety to your CV.